The STIHL Group generates around 30 percent of its revenue in the USA. The company has now also recorded a jump in sales of cordless products in this market, which has traditionally been the most important for STIHL. Within just 15 months, the market share of STIHL cordless tools in the USA has increased tenfold. The product portfolio has also been significantly expanded over this period – from one line of cordless products to three. STIHL has been present in the US since as early as 1974, with its own production and sales company, STIHL Inc., located in Virginia Beach. The American market is served via six company-owned and five independent distributors – partners with whom STIHL has been working successfully and in a spirit of trust for many years. The German headquarters invited the distributors to Waiblingen at the end of April to discuss the strategy for the US market. "Our partners and customers in the USA can rely on the fact that STIHL shall remain a fami-ly-owned company – based on the values of loyalty, integrity, a long-term outlook and, of course, the commitment to premium quality," said Dr. Nikolas Stihl, Chairman of the STIHL Advisory and Supervisory Boards, at the meeting. Norbert Pick, Executive Board Member of Marketing and Sales, explained: "We set extraordinarily high standards in everything that we do and customize our products exactly to our customers' requirements – with the result that we have been successful for more than 90 years in a constantly changing environment." Bjoern Fischer, Managing Director of STIHL Inc., emphasized that unit sales of STIHL products in the USA have more than doubled over the past ten years. "I see further, enormous potential for our market in the area of cordless products – particularly as we are able to offer our customers a broad and attractive range of STIHL products via our large sales network of 9,000 dealers," said Fischer, adding that: "In the future, there will also be a greater focus on digital products and services." 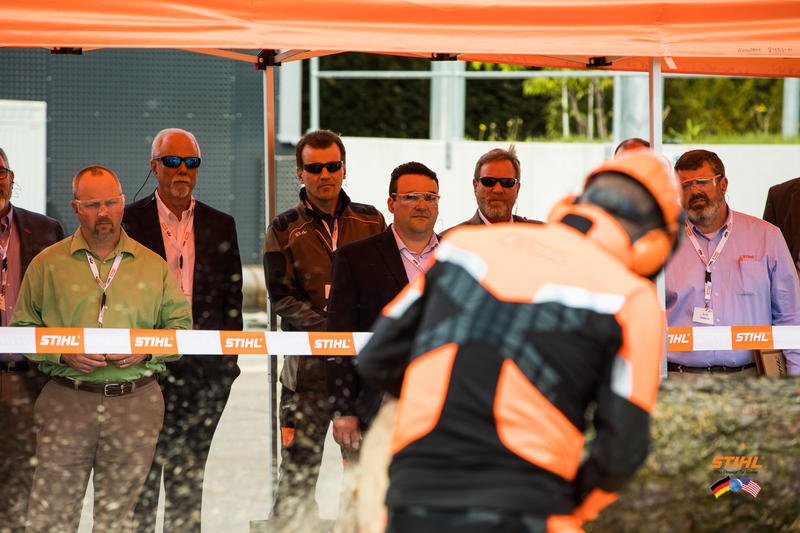 At their visit in Waiblingen, US distributors were presented with new STIHL products.